Then it should be fine, the Shirt was machine wash and the print got totally damaged, they should have labled it as handwash too. I was thinking nothing bad because I´ve washed my CdM shirt + hoodie many many times allready and they are fine. 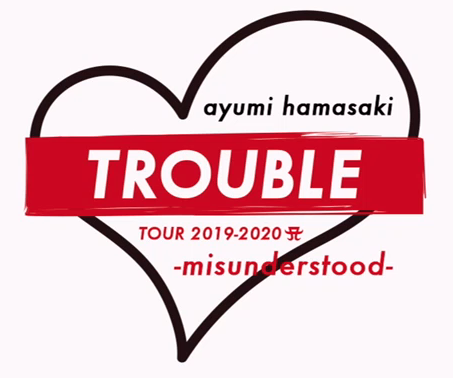 Last edited by ~angel*ayumi~; 16th April 2019 at 07:29 AM. Last edited by njanjayrp; 16th April 2019 at 08:17 AM. Just checked the 1st/2nd May dates again, I swear Yahoo Tickets didn't have any available on Sunday, but they now have tickets available for both dates again. I've seen that happen often with theater tickets I try to book. Everything is gone almost immediately . . . but if I wait a few days, tickets become available again. Obviously number of people interested in seeing her live has been further declined. Ticket for 2nd May is still available on Yahoo Tickets and Pia. I could even be allocated a 2nd floor seat when I pretended to buy a ticket from Pia where the venue has 3 levels and its capacity is just less than 2000. Pia shows you the seat number etc even before you finish the transaction? has anyone ever been to the CHIBA: ICHIKAWA CITY CULTURE HALL? Im not sure how her concert would work in a hall like that? Is it a different type of show? She performed there during Just the Beginning, to give you an idea. Yes, it was my first Ayu show ever, as said previously she performed there for the Just the beginning tour in 2017. I believe it's a an average small hall, not that different from other small venues she's touring, why would the show be different? You'll be very close to Ayu which is an awesome experience, enjoy every moment if you plan on going! ^ I have only been to Yoyogi and Satama shows and I dont see how she can do the same thing there as she does in a concert hall. Because it´s not the same thing, did you even watch the JTB Chapter 3 or Trouble CDL? I like the shirts that the group is wearing. Logo is simple, but it works for me. I love the t-shirts! The logo works well with them, but stand-alone its somewhat messy.